DESCRIPTION: The Korean War was the first conflict fought under the international banner of the newly formed United Nations. As such, it broke completely new ground and deserved very much better coverage by historians than it has recveived. It was the first major war to be fought after the first use of nuclear weapons against Japan in 1945. The US always had the option of using nuclear bombs to avoid a take over of South Korea by the huge numbers of Communist soldiers from North Korea and China. Instead, the Communists threatened on several occasions to over run the UN troops and only conventional weapons were used in response. In the event, the war dragged on for no real benefit to either side and fizzled out into an armistice that was never to be followed by by a peace treaty. More than 60 years on, the war threatens periodically to turn again into a hot war. Some have argued that the US made a serious error in using the UN as the authority to defend the South Koreans. 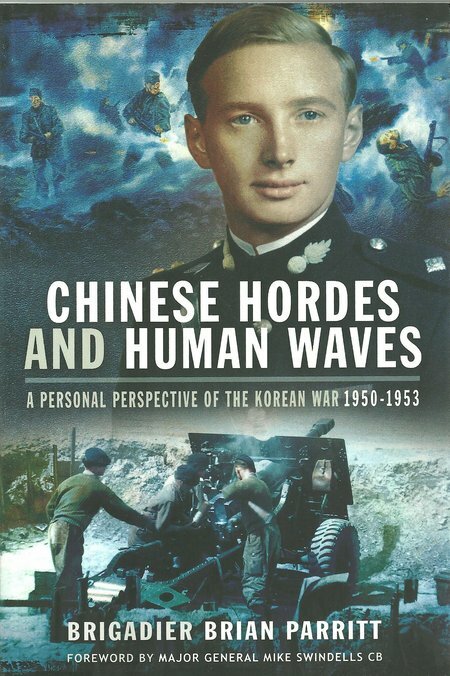 The UN force was remarkably similar to the Alliance that won WWII and, had the US been in full control of events, the first use of human wave attacks could have been dealt with by strategic nuclear bombing of North Korea and then of China. That makes the assumption that the US was ready to use nuclear weapons in this way if it had total control of the war against the Communists. From this unique base of knowledge and skill, the author has produced an outstanding book that introduces the reader to one of the most significant wars of the 20th Century, but a war that lives only in a handful of films, notably “MASH” which was produced as a satire and a comedy to entertain. What makes the Korean War so significant is that it might never have been won, but the avoidance of defeat provided the deterrent to keep the Cold War at a low temperature. Had the Communists driven out the UN troops and occupied South Korea, the huge Russian army would have swept across Europe and the world would have become a very different place, divided between broadly similar Communist regimes. This book should be widely read as gripping personal memoir to expose a long forgotten conflict, providing a perspective to understand the Cold War and the legacy that still exists. It should also be read to understand how Russia and China will attempt once more to seek to dominate the world’s democracies. The first steps have already been taken with Russia invading the Ukraine and grabbing part of Georgia’s sovereign territory. As those actions attempt to reproduce the actions of national socialists in the 1930s, China is embarking on a major expansion of its already massive military to threaten its neighbours. Read this book and understand how past and present offer major new threats for the future.